Varidesk offers a range of products in the standing desk industry that are some of the most popular on the market. Not everyone has the best first impression of this brand because of how they haven’t been able to keep up with the competition in the past. This brand may have fallen behind in the ring of competition in the past, but after looking through this guide you’ll be able to be the judge on whether or not this brand is going to meet your own standards. With more ergonomic designs that have grown popular in recent years, the value of this company has reached new levels of success with their newer models and products. This article will walk you through everything you need to know about the brand, what makes them stand apart, what they can offer the customer, and the most popular products they offer. Hopefully, after reading this guide, you’ll have a better understanding of what you need to look for when looking for a standing desk investment. Back in 2013, the very first desk riser was created by this brand. It was a fairly simple product that caught the eye of many. Many people have even accredited the standing desk revolution to this company due to this product release. 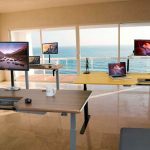 While their brand focuses more on the sit-stand combination, not full on standing desks, this company has made the market flourish in recent years in a variety of ways. They’ve grown their skills and catalog of options, more than double compared to their first release in 2013. Which is fantastic for those who aren’t sure where to begin their search. But they have fallen a bit to the wayside due to the very saturated competition that has pushed them out of the direct spotlight, but is it just? This review will help clarify whether or not their top products still stand a chance against some of the luxury high quality full stand up desks. This is the most popular among what the brand offers. This is a very basic product, it’s a classic riser that is affordable and very user-friendly in every way. While many claims that there are better options on the market, it does stand to still be one of the most reliable for people who have used this product over time. For those who rather not have all the added and updated features this is the perfect choice for yours, especially if you’re looking for something simple for a laptop or anything else similar. While there are newer options out there, you can’t beat the original. Read more about the Varidesk Pro 48 Series. This product has everything the above product has, but it has had a bit of a makeover when it comes to the ergonomics. With an added keyboard platform, this model makes an effort to provide more stability and ease when using this product. The height adjustment isn’t the best if you happen to be taller or shorter than most, but it still is a reliable and affordable choice with great customer service. This option has had a ton of improvements in recent years, which keeps this product relevant even with a few shortcomings. Read more information about the Varidesk Pro Plus. Many have grown a liking to this product because it’s actually meant for those who are a bit taller. 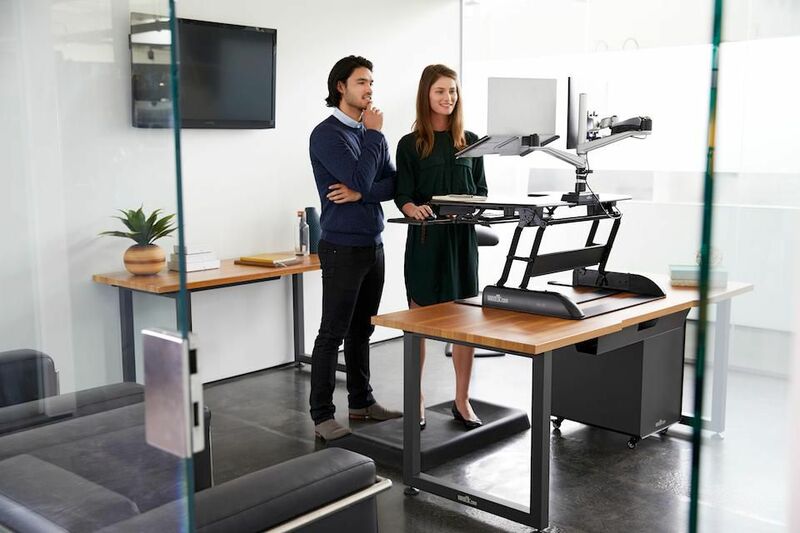 Typically, standing desks and stand-sit conversions like these models base their maximum height on the average height, which obviously does not work for everyone. This change is refreshing and has proved to be quite popular. There is a bit of smoothness that is lacking when adjusting this desk which can be worrisome when it is holding your computer, but this product is still a great option for taller individuals who want something cheap and reliable nonetheless. 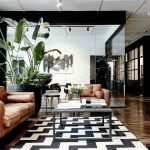 This brand, you’ll be able to buy now and pay later with their monthly payment plans that you can easily select when you check out. By using the affiliate site called Affirm you’ll be able to take advantage of a real-time loan that will be offered to you. Plus getting involved in this process will not negatively affect your credit score whatsoever. You’ll also have many options to choose from depending on your budget at the time. You can choose to pay off your purchase over 3 months, 6 months, or over a year at most. As soon as you check out through Affirm, your product will be shipped to you as quickly as possible. They also offer a money back guarantee as well, if you don’t love your purchase after trying it out for 30 days, you’ll be able to return the product without any problem whatsoever. Because they fully believe in their products, if you aren’t 100% happy with our purchase, they put you first. Finally, they also offer free shipping to most of America, this is a no-hassle guarantee and you won’t have to worry about delayed shipping just because it’s free. Shipping on average won’t take more than 5 days. All of these benefits just go to show that Varidesk makes sure to put the customer first in everything they do. They want to make sure that the customer feels safe and secure when buying from their brand, no matter what. This user friendly brand has made sure that their products are solid, simple, and easy to understand. While there are some high quality products that have taken the market by storm with a hefty price tag attached, this doesn’t mean that Varidesk has completely fallen to the wayside. They have a product that offers a simple solution for those in any work space without a shocking price tag attached. This brand will always put their best foot forward when it comes to what they know best. 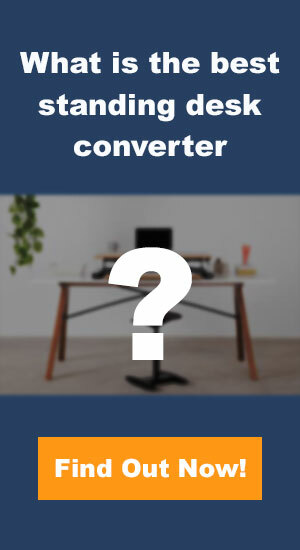 Click here for our review on the best Varidesk standing desk converters.